New Audi A1 vs new Mini 5dr | What Car? 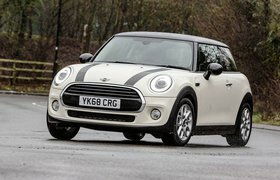 While both cars have a great range of adjustment, including for driver’s seat height and steering wheel rake and reach, the Mini’s is more extensive, with a seat that drops lower and a wheel that extends farther. 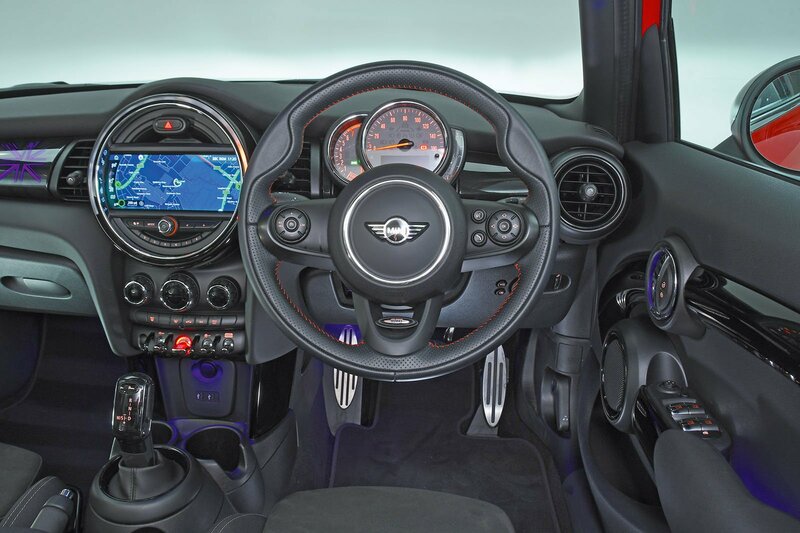 We also like the Mini’s simple instrument cluster, the fact that it moves with the wheel so you can always see the dials easily and that it features a useful digital data display. 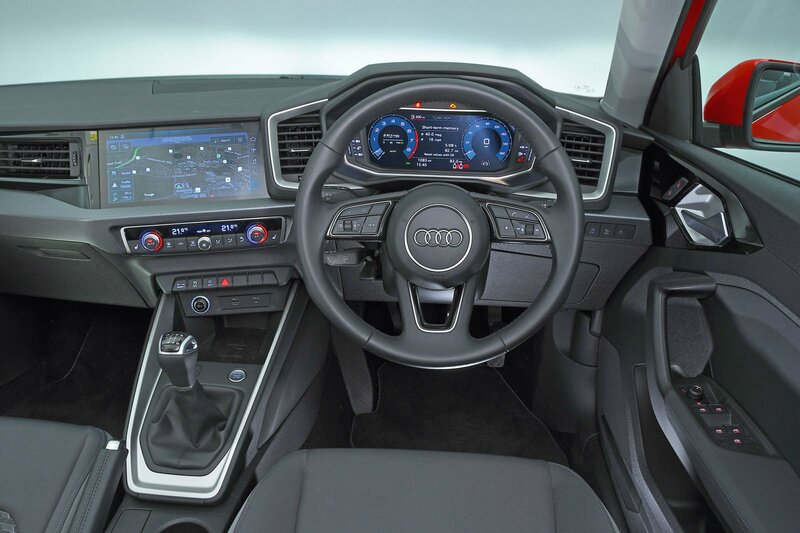 A 10.3in digital instrument screen is standard in the A1, but if you add the Technology Pack that our test car was fitted with, this becomes more configurable, to the degree that it can display large-scale maps (the pack also adds sat-nav). Both cars have a pretty comfy driver’s seat, although some of our testers found the Mini’s lacked under-thigh support. The Mini drops marks mainly because you have to pay about £500 to add adjustable lumbar support (although that price also gets you leather seat trim), which the A1 comes with as standard, and its pedals are quite noticeably offset to the right. You can see out of the Mini more easily. Its windscreen pillars are steeper than the A1’s and more forward of the driver, so they obscure your vision less through bends and roundabouts. And when it comes to reversing, its thinner rear pillars don’t hide things like the A1’s fatter pair do. Both cars get rear parking sensors as standard, with front sensors and a rear-view camera optional. You can’t fault the Mini’s interior finish. Its design is the more exuberant, and it feels a cut above, with materials that look plush and feel the part when you prod them. The A1’s quality is fine for this class, but if you run an original A1, prepare to be somewhat disappointed. While impeccable material quality was once a hallmark, this new model keeps soft-touch materials to the absolute minimum (the top of the dashboard, really), while the areas you touch regularly, including the doors and centre console, are hard, shiny plastic. This feels out of place in a premium-priced car.